Streams and rivers occur in almost bewildering variety. There is no real distinction between streams and rivers, except that the former are smaller. Some use the term "great river'' to dis tinguish rivers such as the Mekong, the Amazon, and the Mississippi from rivers of more usual size. Partly because the vast majority of river length is in the smaller headwater streams, and partly because these smaller systems have received considerably more study, many and perhaps most researchers consider themselves "stream ecologists.'' Attempting to understand how the principles of fluvial systems are manifested across scale is one of the primary themes of this book. Fluvial ecosystems vary in many additional features. Some have the color of tea due to high concentrations of dissolved plant matter, while others have fewer chemical constituents and so remain clear; these are known as black-water and clearwater rivers, respectively. Rivers can tumble and cascade down steep slopes over large boulders, meander through gentle valleys, or flow majestically across broad flats as they approach the sea. 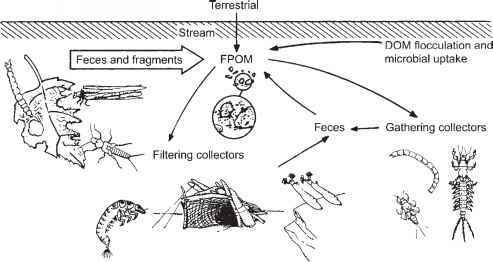 Food webs in forested streams derive much of their food base from autumn leaf fall, whereas streams that are open, shallow, and stony typically develop a rich film of algae and microbes. 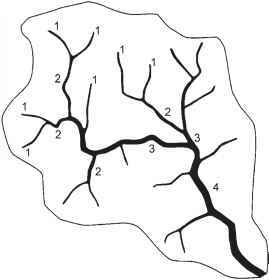 Rivers that still have an intact flood-plain exchange organic matter and nutrients with the adjacent land, and all fluvial ecosystems exhibit high connectivity laterally, longitudinally, and vertically (Figure 1.1). River science attempts to catalog this diversity, reveal the underlying processes that are responsible for the variety of patterns that we observe, and understand how those processes interact with different environmental settings and across scale from the smallest headwater streams to great rivers. Numerous classification systems for rivers have been developed to better comprehend natural patterns of variation, as well as guide management activities including restoration and assessments of river health. At the time of this writing it is not possible to describe one, overarching river classification. Indeed, this may not be an attainable goal: the variation of fluvial ecosystems is continuous, the variables often are too independent to form recognizable clusters, and different classifications have different purposes (Kondolf et al. 2003a, b). With these limitations in mind, however, a number of broad generalizations can be made that help to organize the variety and variability of fluvial ecosystems. 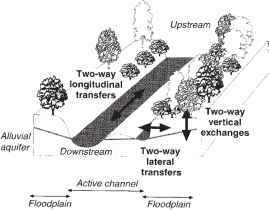 FIGURE 1.2 A drainage network illustrating stream channel order within a fourth-order catchment. The terminus may be a lake or the junction with a larger river. Intermittent streams occur upstream of the first-order tributaries, and often extend nearly to the catchment divide.